Bram and I were just nine and ten, when we constructed a glockenspiel of the various glasses from our dollhouse; we filled these with water to different levels to tune them. Then my brother tapped the glasses with a bone spoon and I accompanied him on the piano. My first composition was a little dance for this glockenspiel ensemble. We fantasized a lot together, devised complete operas! He sang and I played piano. Back in Amsterdam, she obtained her diploma from the Vereniging Toonkunst Nederland (Netherlands Society of Music) in 1912. Dora Zweers-de Louw, her singing teacher, showed one of Rosy's songs to her husband, the composer Bernard Zweers. He recognized Rosy's talent, and offered to teach her harmony and counterpoint. She gradually became more interested in modern music - particularly French – and also took composition lessons with Sem Dresden. She was one of the first women in the Netherlands to complete a professional music and composition education. In 1921, she was employed at the Amsterdam Music Lyceum, where she taught piano and music theory until 1929. These activities were most satisfying because I could ventilate my musical talent and my social inclinations. The children's choir consisted of Amsterdam's poorest ragamuffins, the so-called Island-children (from the islands Uilenburg, Marken and Rapenburg). We performed operettas and cantatas. At the community center on the 's-Gravenhekje, I also organized the Sunday concerts. It was a big workload but it gave me great fulfillment, also because my musical friends supported me. Eventually, I became attracted to newer sounds and colors, and varied rhythms. Debussy, Ravel and Stravinsky were a revelation, and of course my own compositions were influenced by them for a time. I needed to expand my horizons, and Paris, at that time an important musical center, seemed to be the best choice. I got a six month leave of absence from the Lyceum and ended up staying for six years! Paris was an enormous boost, the most interesting years of my life! I worked hard and met many musicians and artists. At that time I composed, a sonata for violin, a string quartet, a divertimento for chamber orchestra, some songs and other works. I also reported on the Parisian music scene for the daily Dutch newspaper Het Volk. In her apartment she held an artists' salon; a meeting place for prominent French composers like Milhaud, Honegger, Messiaen, Jolivet and Ibert. She took composition lessons with Louis Aubert and developed a profound friendship with the composer Elsa Barraine. During this period, her music was performed regularly in Paris and elsewhere. Her string quartet in particular, achieved notable success. In 1935, she moved to Vienna to continue her studies with Karl Weigl, also the teacher of Mahler, Richard Strauss and Schönberg. The Austrian orchestras were excellent but Rosy wasn't drawn to the modern German and Austrian composers. She did, however appreciate music by the young Russian composers Prokofiev and Stravinsky. The following year she moved to New York. Now she was active in the Composers' Forum Laboratory, aimed to bring contemporary music to the public's attention. She gave lectures and her String Quartet, piano works and the Divertimento for chamber orchestra were performed. In New York she also continued working as a correspondent for several Dutch newspapers and magazines; an exceptional career for a woman at that time. In 1937, Rosy Wertheim returned to Amsterdam. Again she had an artists' salon and organized house concerts. 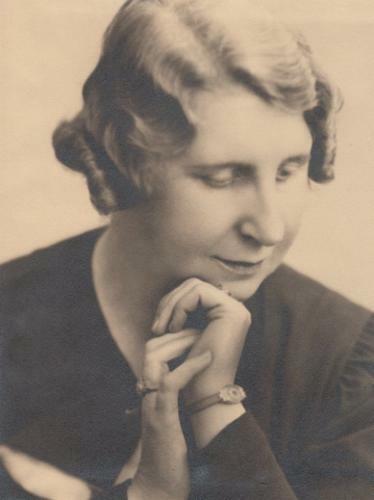 In 1940, her Piano Concerto was performed in The Hague by the Residentie Orchestra, conducted by Willem van Otterloo. But things worsened after the German invasion in May of that year. In 1942, all artists, including the members of the Society of Dutch Composers, had to register with the Kultuurkamer, a regulatory cultural agency installed by the German occupying forces during World War II. Wertheim was one of many who refused. The Society of Dutch Composers suspended its activities. My apartment had one room, large enough for house concerts and the Contemporary Music Association gave performances here, too. But these good times were soon over. I had Jews hidden in my basement; they were betrayed and I had to go into hiding myself. Thereafter, live music hardly played a role in my life. Occasionally I played for a housekeeper, a nurse and a gardener, and in the meantime I worked on an orchestral overture, which will hopefully be premiered soon. During the war, my music continued to be performed, but of course I couldn't attend these concerts. And my music was also played in America. The Germans robbed me of all my possessions and books - but now they are gone and I will try to make something of my life, at least what's left of it. After the war, Rosy Wertheim taught for some time at the Music School in Laren, but soon cancer prevented her from teaching and composing. But she was still involved in cultural and musical life. Even when she was gravely ill, her hospitality and her great interest in colleague composers was undiminished. 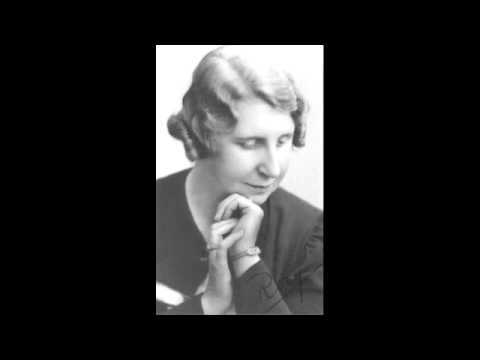 Rosy Wertheim died on May 27, 1949. In an obituary in the weekly niw (New Jewish Weekly), the composer Max Vredenburg wrote that the Dutch music world had been much too indifferent towards her work. Rosy Wertheim initially composed mostly vocal music. Her oeuvre is influenced by French composers like Claude Debussy and César Franck. Her piano work Dix Variations sur un thème de César Franck was obviously inspired by him. At the outbreak of World War I, she became well-known with her song Neutral (Neutral) on a text by François Pauwels. This song became very popular and resulted in a commission to write a four-part children's choral work. In May 1915, this piece premiered with some six hundred children in the Main Hall of the Concertgebouw. The majority of Rosy Wertheim's oeuvre of about ninety works, consists of songs and chamber music. Most productive were the Paris years. Various songs were published by Alsbach, and Broekmans & Van Poppel published her string quartet, Six Morceaux for piano and a violin sonata. Many of Rosy's compositions - mostly undated – are still unpublished. Her manuscripts can be found in the Dutch Music Institute in The Hague. Her music is pleasant, sophisticated and accessible, with a strong lyrical quality. She had a great talent for harmony. Her early works are in a late romantic style, but then she started working with octotonic scales, widely popular in the Netherlands and France in the 1920s. Her French years echo through her later music with an impressionistic character. Never superficial or stiff, but with depth and different layers, perhaps most reminiscent of music by Johannes Brahms.